What a day! 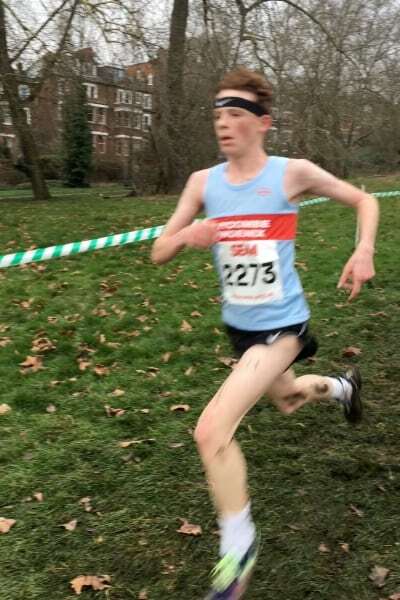 The South of England Champs is one of the highlights of the cross country season. 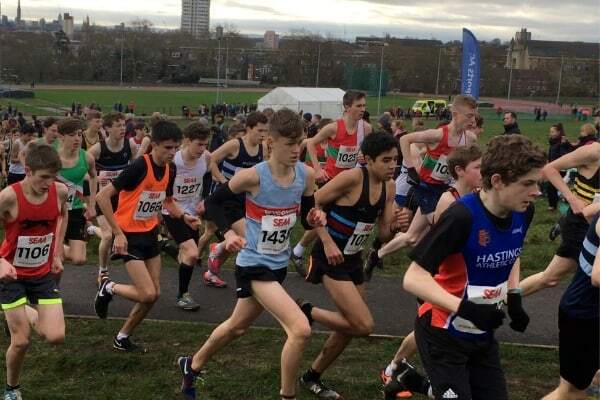 Saturday saw the 125th running of the men’s event. Over the years, all age groups have been added and it is now a huge event, with this year’s event having the biggest numbers ever. 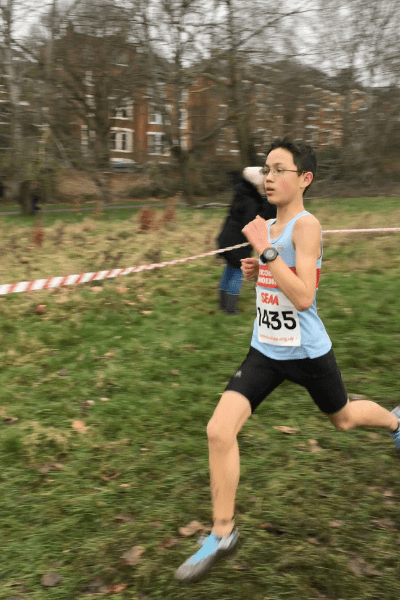 This year’s Championship returned to Parliament Hill, the ‘spiritual home’ of cross country running. Pippa Woolven went into the Senior Women’s event as the favourite. A brilliantly controlled race saw her pull clear after a few minutes running and she went on to record, possibly the biggest winning margin ever. 66 seconds! 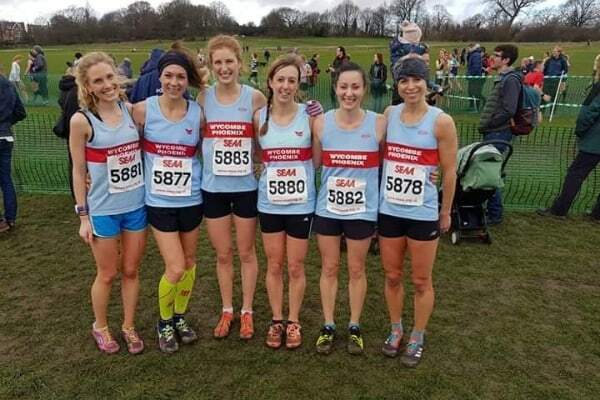 The women’s team has performed brilliantly all season.There were about 6 teams with realistic chances of medals. We were confident of doing well but Matt was getting a little concerned as the race approached that he hadn’t seen Lucy Rogers. At 2.02pm the field had assembled on the start line, ready for the 2.05pm gun. Lucy was still in the Club tent putting her spikes and timing chip on…and the Club tent was 500m from the start! Somehow she made it. Her race was actually 8.5km! Alex Cook has been running for years but somehow never run at Parliament Hill. She loved it and came home in 26th. Lucy followed not far behind in 32nd. Zoe Doyle and Jenny Roberts had been locked in battle for the crucial 4th scoring spot for most of the race. Zoe, eventually pulled away for 41st with Jenny not far behind in 47th. A special mention also to Laura Street who missed all of the summer with injury. Still on very limited training, Laura fought hard for 122nd out off over 700 finishers. 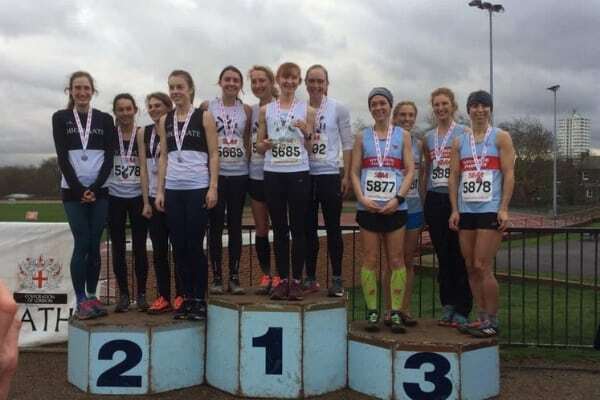 Thames, Hare and Hounds and Highgate prevailed but our girls were then clear in 3rd. We were pleased with 11th last year so to medal was brilliant. Championship cross country races always used to be 9miles for the Senior men. Over the years, this has ceased to be the case. The Southern though has remained steadfast and has refused to change. 9miles over the rolling hills of Hampstead Heath is not for the faint hearted. For the first time in along time, we completed a team. 39th. Joe Branch loves the big events and lead us home in 122nd. Sean Wilson has been struggling a little with his running to be honest. A scorcher of a day destroyed his marathon debut in London. Then injury struck. 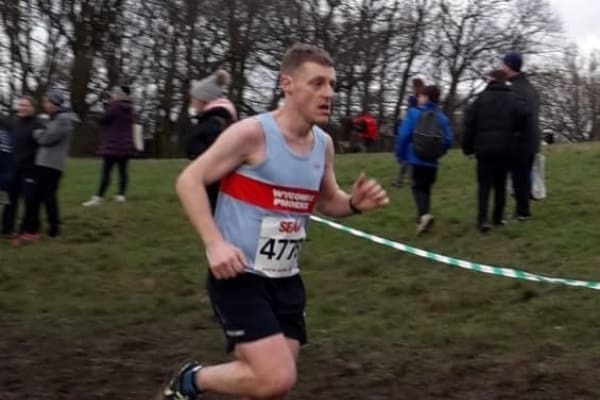 The birth of Wilson junior in December has meant little sleep and limited training over the last 2 months, but he produced one of his best performances ever over the country with a 218th place finish. Tim Hogbin, Paul Gilbert and Dan Barker followed. While Mike Taylor and Scott Wixon Nelson fought out the last scoring place. The first time we’ve finished a senior men’s team in a long long time. Well done! The first race of the day at the Southerns, is always the U15 Boys. 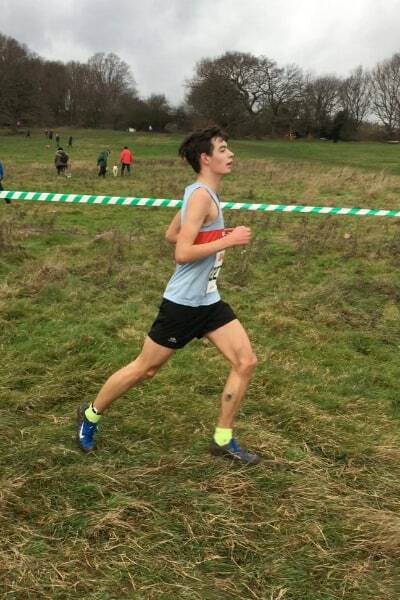 Jacob Sanderson got us off to a great start, finishing a highly respectable 29th (out of 295). He was 113th in last years race. Followed by Rollo Parry and Alex Mitchell. 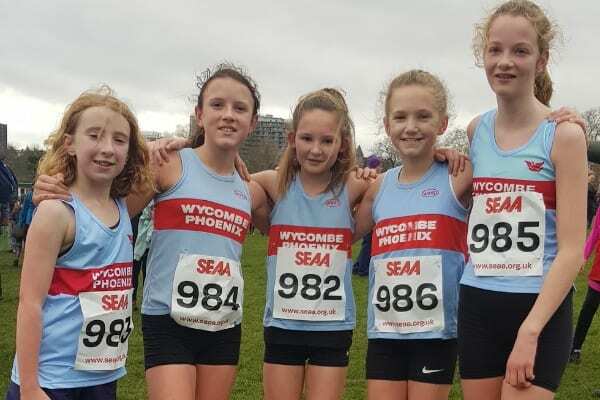 The U13 girls were well represented again with a total of 5 girls racing with Libby Sutton our first finisher coming in 168 out of 316. Followed by Lyla Griffin, Emma Caddell, Ellie Faulkner and Georgie Larard. 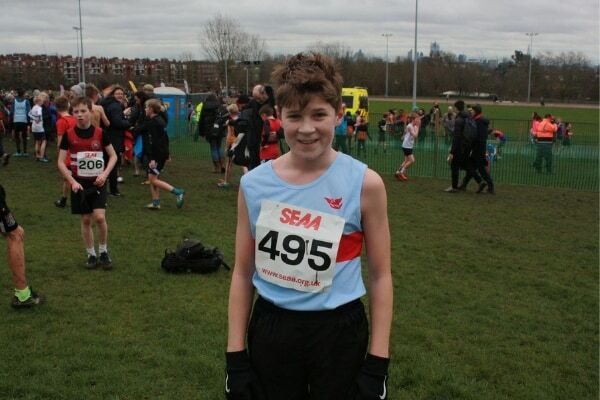 Freddie Higgins was our sole U13 boys and came in 203rd. The U15 girls were well represented by Olivia Brown (116th), Ellen Cooper (123nd) and Tilly Firth (217th). 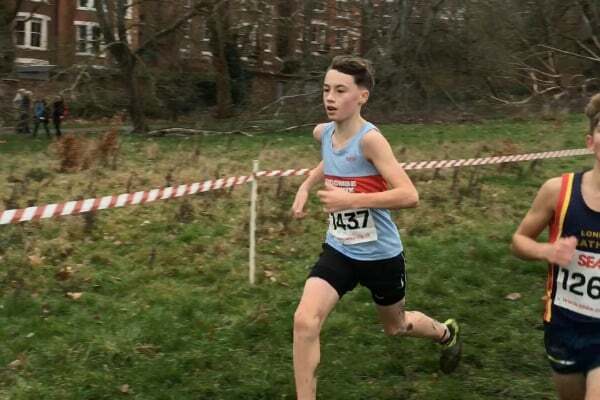 In the U17 men’s race Myles Caddell came in 51st (out of 230) followed by Harvey Bell who is hitting some form as the season progresses and Luke Kempton. Kirsten Stilwell has had a difficult year with injury and is still less than fully fit after a bad cold. 8th place was a great return for her and the smile on her face at the finish was great to see. 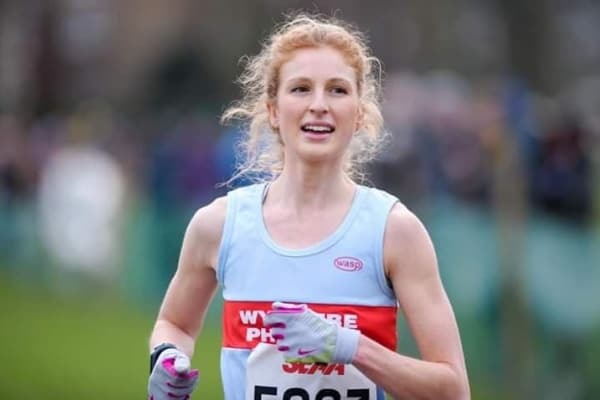 Cerys Vico followed in 105th out of 176. A great day and some terrific performances. A big thanks to Richard and Mike who were on the Heath early doors with the Club tent. It makes a big difference to have a ‘base’ at these events. A selection of photos from the day….